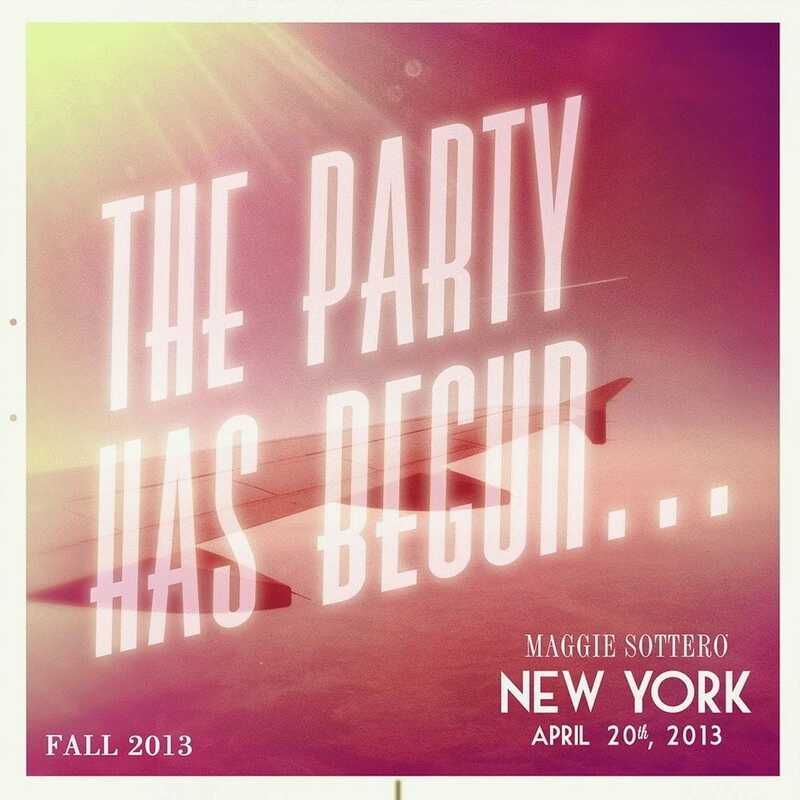 •	Post signs: it’s the simplest and most effective way to get your guests to power down. Some couples provide baskets for guests to check their devices at the door; others let them keep devices silent and stowed away. Sweet, simple, and funny messages usually work best. 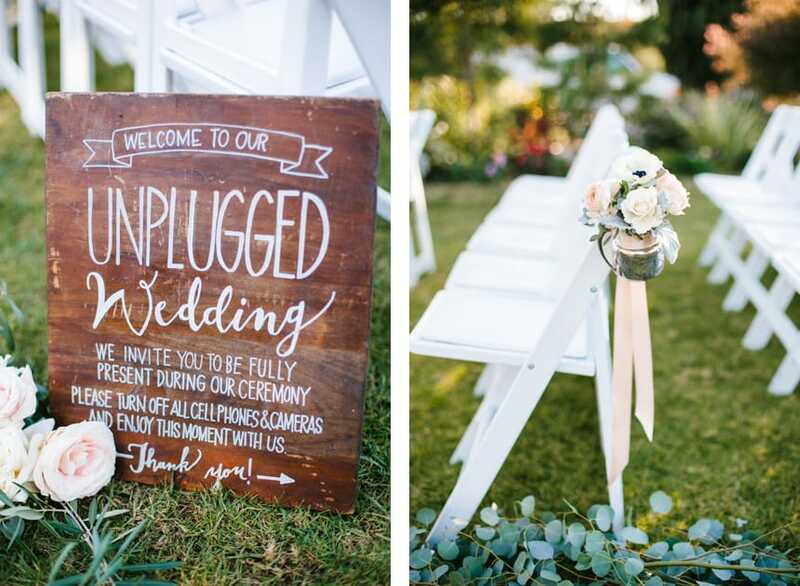 •	Give a short speech before the ceremony: Ask your officiant or designate an MC to announce the unplugged nature of the occasion. 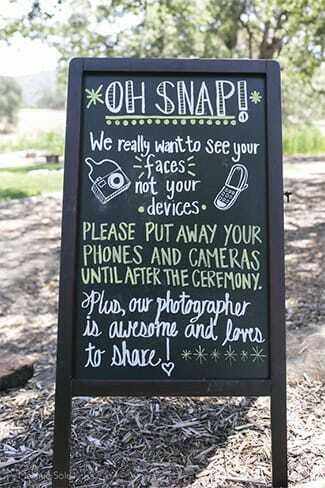 Alternatively, designate a moment for guests to snap a few pictures before the officiation actually begins. 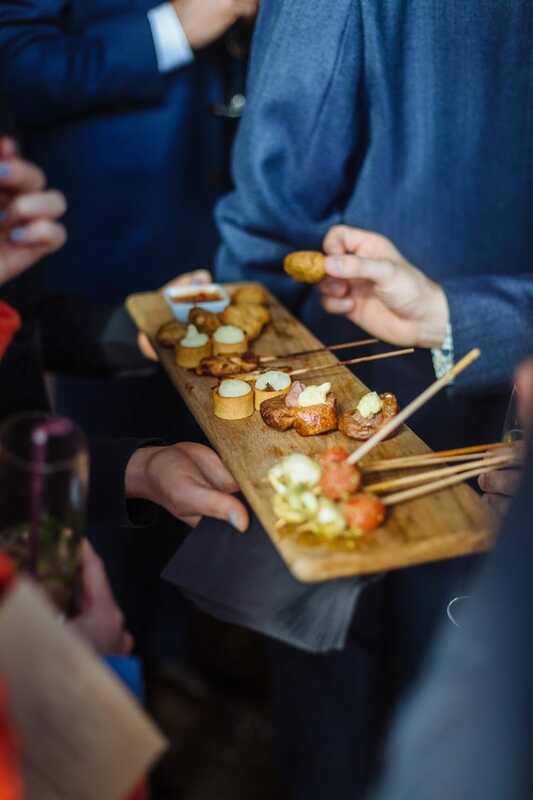 •	Offer distractions: For a less direct approach, encourage your guests to ditch the devices by offering bubbles, umbrellas, and even coloring books for lengthier ceremonies. 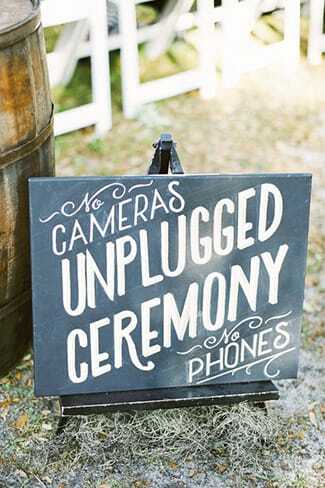 •	Write it down: If your wedding is more classic-stationary, less rustic-signage, opt for a note at the bottom of your program stating devices will not be permitted in the ceremony. 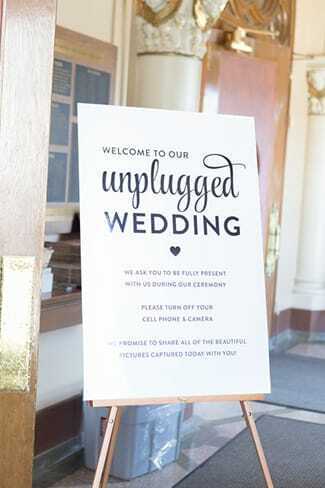 •	Prep your guests: Announce your unplugged occasion on your wedding website or digital invite so guests know what to expect. 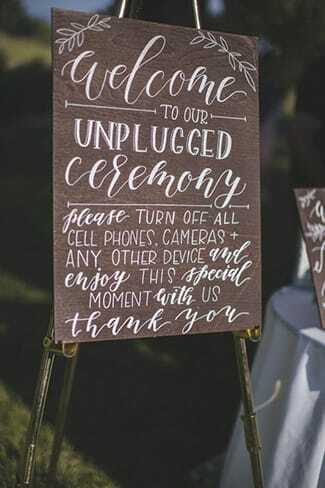 •	Enforce, politely: Appoint a member of the wedding party to kindly remind guests to put away their electronic devices over the course of the ceremony. A simple side-chat is all the guest will need! There you have it! Everything you need to ensure your guests are truly present to your vows and your photographer has plenty of room to capture the moments. 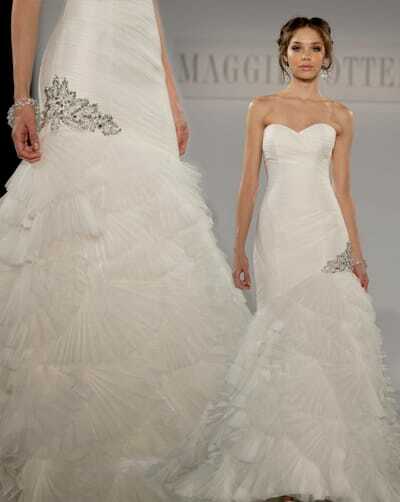 Speaking of photographers, click here for the pros of doing a “First Look” session.